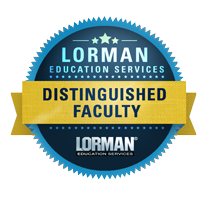 Contact us for more info about Lorman education services. In “Hot, Flat, and Crowded”, Thomas Friedman makes a compelling argument for the convergence of global warming, global flattening, and global crowding giving birth to the “Energy-Climate” era. Given growing uncertainty surrounding future energy supplies and a built environment in the United States that accounts for 39% of energy use, the authors agree with Friedman’s premise and believe that every building should be a “greener” building. Yet how do we overcome the current paradigm that the cost of building “green” is 5 to 10% higher than conventional construction? Using LEED Silver certification as a baseline, the authors offer five suggestions that can make designing and constructing a generic mid-rise commercial/residential building cost neutral. The solution includes establishing an “integrate everything” mindset, which leads to both starting and planning differently, employing emerging technologies such as Building Information Modeling (BIM), and changing procurement methods, contracting strategies, and relationships amongst participants.